The importance of technology, from an organizational perspective, is cyclical. 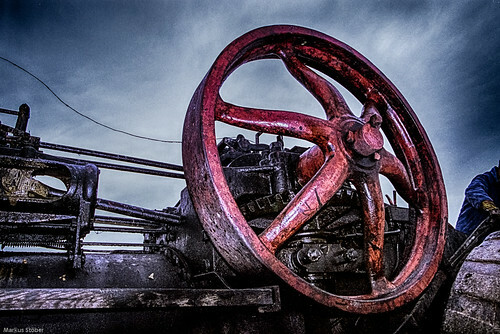 Misunderstood and feared in its infancy, in a manner that will be familiar to those who’ve studied the history of the industrial revolution, technology was subsequently embraced first in specialized roles but went on steadily annex every unoccupied area of an organization. Having conquered the office, it then spilled over into the home with the introduction and rise of the Personal Computer in the early 1980’s. But something happened along the way to everyone having a computer in their pocket and thirty in their car: people stopped caring. When everyone had technology, technology no longer mattered, at least according to the core thesis from the influential title by Nicholas Carr. 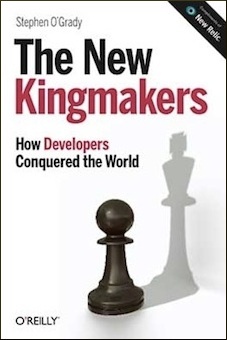 A book that was indirectly responsible for unintended side effects from booms in outsourcing to downward price pressures on technology vendors. If technology was no more differentiating for an organization than its plumbing, the thinking went, why pay premiums for superior technology, or indeed own the capability at all? Many organizations, in an effort to focus on a core set of business concerns which did not include technology, chose to effectively divest themselves of responsibility via large outsourcing contracts. This trend has begun to reverse itself in recent years, however. Seven years after the publication of “Does IT Matter,” many CIOs read Marc Andreessen’s Wall Street Journal Op-Ed describing the evisceration of traditional markets by digital players such as Amazon, Netflix, Pandora, Pixar and Spotify (for the record, no, Andreessen mentioned neither Airbnb nor Uber). When they asked themselves whether IT mattered in 2011, a number of them now answered the question differently. Which is why and how the term “Digital Transformation” has come into fashion. It is no longer enough for technology providers to be able to solve complex technical problems. Customers today take the infrastructure for granted, and want instead to know how they can end up being Amazon or Netflix rather than Borders or Blockbuster. While understandable, there are three basic problems with this request. Independent of industry, most companies do a limited number of things well. The technology industry is no exception. Apple, for example, is rightly regarded as being the best in the world at user experience. In the context of delivering online services, however, Apple’s UX prowess has not translated particularly well because services are not a core competency for Apple – however much users wish otherwise. When enterprises turn to technology vendors for their digital transformation needs, in turn, what they are effectively asking for is a combination of deep technical experience and product design skills with very high end management consultancy or venture capital skills on top of that. It is difficult to envision a single company providing both at a high level of quality. One, certainly, but not both. There is a famous and possibly apocryphal story told in the research community about a call that an analyst had with one of the major US telcos in the early days of the cloud. According to the account, the analyst got on a call with sixty or so telco team members. The goal, the analyst was told, was to compete head to head with Amazon Web Services. The analyst then asks which fifty people on this call the telco is planning on firing, saying that you don’t tend build the next generation infrastructure with the people who built what you’re replacing. True or not, the implication is clear: organizational change, and in particular the type of organizational change that is required to respond to true disruption, is exceptionally difficult. There’s a reason most companies don’t survive the experience. Even if technology providers are equipped to provide not just the required technical expertise but the business innovation consulting that is more typically the province of a Bain or a McKinsey, many and perhaps most organizations will find it difficult to execute the necessary changes. In June of 2008, a friend of the Airbnb CEO and co-founder introduced the company to seven prominent Silicon Valley investors. The company was attempting to raise $150,000 on a $1.5 million valuation. Five investors sent notes back declining the opportunity to purchase 10% of the company for $150,000, two didn’t bother to reply at all. In June of 2016, eight years later, the company was raising money at a $30 billion valuation. The point here isn’t to laugh at the unnamed investors, the point here is that predicting outcomes generally, and digital transformation specifically, is hard. Hard enough that very highly paid and educated professionals who do nothing but evaluate businesses that intend to transform industries digitally fail more often than they don’t. Expecting that your technology supplier, then, can be responsible for shepherding you through this process is probably not reasonable. None of which is to say that technology providers cannot and should not be good partners as businesses in industries roiled by change seek to retake control of their technology stack and transform themselves amidst highly dynamic markets. Indeed, technology providers that can provide more than technology, in the form of education, guidance and, yes, good tech – are seeing tangible rewards in deal size and customer goodwill. More to the point, as one vendor put it this week, having the conversation is not optional for vendors any longer. But enterprises must have realistic expectations, both of themselves and their technology providers. If they expect to be Uber tomorrow based on purchasing technology from a vendor with a deck that could have come from McKinsey, they’re likely to be very disappointed. It is nice, however, to see people coming back around to the idea that yes, IT matters.